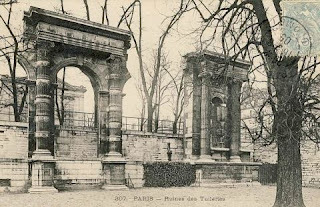 On the night of 23rd May 1871, twelve men under the orders of Jules Bergeret, the former military commander of the Commune, set fire to the Tuileries Palace. 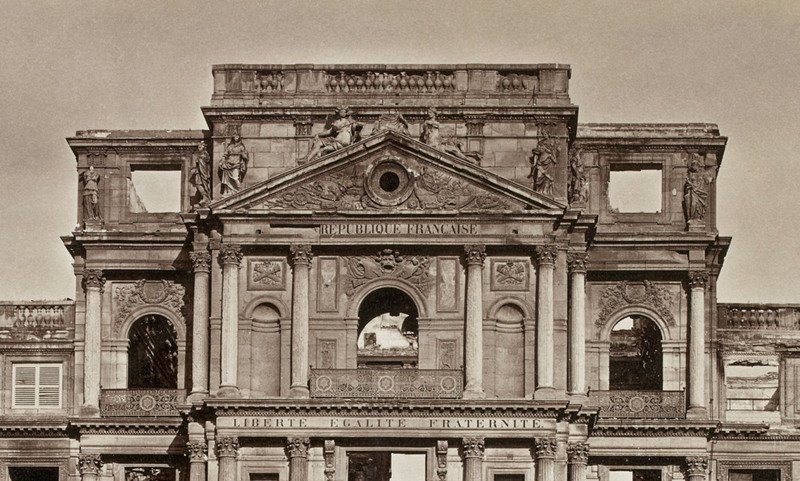 The interior, including the library of the Louvre, was completely destroyed, but the outer walls and facades remained intact. In 1874 the ruined wings of the chateau were demolished, but it was almost eleven years later, in 1882, that the Third Republic finally made the decision to demolish the central pavilion. The ruin was bought by a private entrepreneur Achille Picart for the relatively modest sum of 33,300 gold francs. 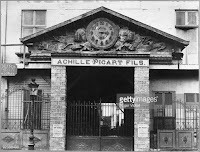 In the spirit of the famous Palloy, demolitioner of the Bastille, Picart salvaged and packaged the stones and marble of the palace for sale as souvenirs. The possibility of rebuilding the palace has never been entirely abandoned. 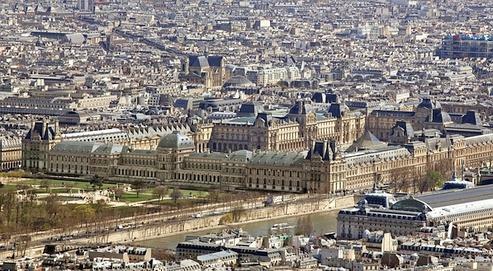 In 2004 a "National Committee for the reconstruction of the Tuileries" was set up to campaign for the project. Its president, Alain Bourmier, proposed to raise the whopping 300 million Euros needed by international public subscription. A ministerial commission was set up to study the plans in 2006 but, despite a good deal of public debate, there seems to have been little official enthusiasm. Since M. Bourmier's death in 2010, the project has been shelved - the most recent discussions I can find on the internet date from 2011. As a token gesture towards restoration, government funding was provided in 2011 for an "iconic arcade" from the palace to be restored and erected in the Louvre's cours Marly. 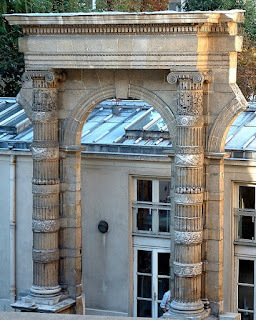 The fragment - part of the 16th-century facade by Philibert Delorme - had been reserved by the State in 1883 and deposited with the École des Ponts et Chaussées. 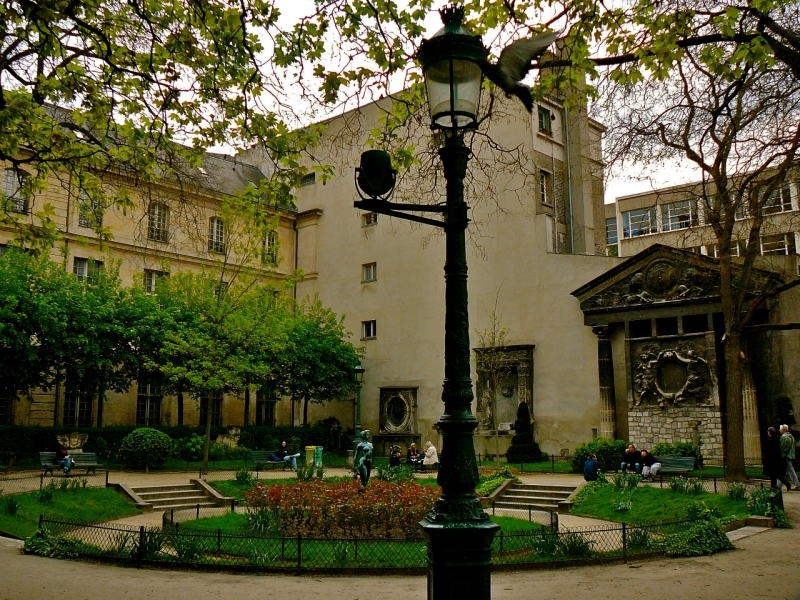 It formerly occupied the second court of the École's premises in the l'hôtel de Fleury, rue des Saints-Pères, which was vacated and sold in 2008. 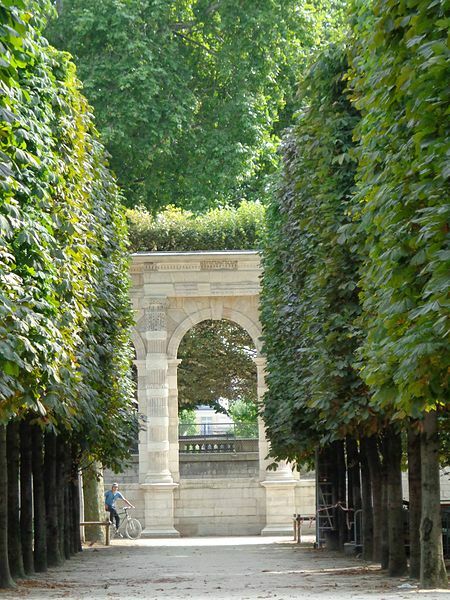 Slightly confusingly an almost identical Delorme arch was restored and erected on the Seine side of the Tuileries gardens near the basin rond in 2012. 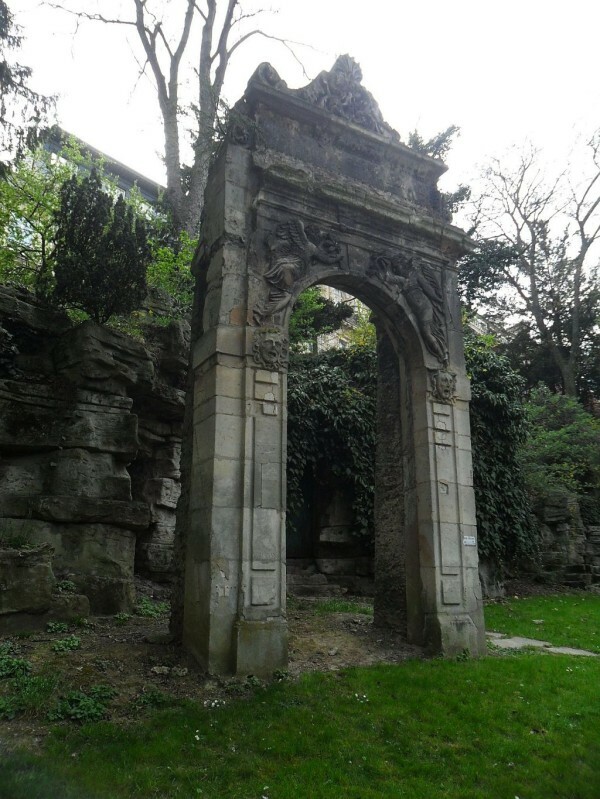 This second arch had likewise been salvaged by the government in 1883. 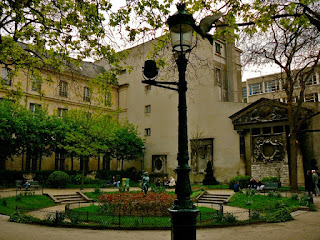 It was originally set up near the Jeu de paume together with another by Delorme's sucessor Bullant. 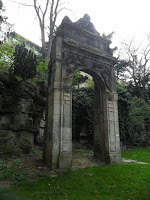 By 1996 both arches were in such a bad state of repair that they had to be demolished. In 2006 fragments of columns and capitals from the Palace were stacked in exposed crates occupying a hundred metres or so of the southern wall of the gardens. In 2014 they were discreetly covered with tarpaulins. 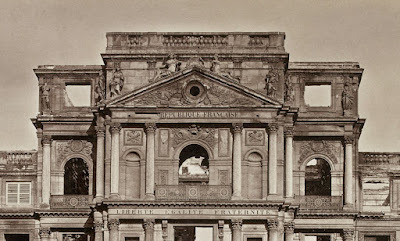 A still more inglorious fate awaited the remains of the famous central "pavilion d'horloge" which is depicted in so many paintings and prints of the insurrection of 10th August. 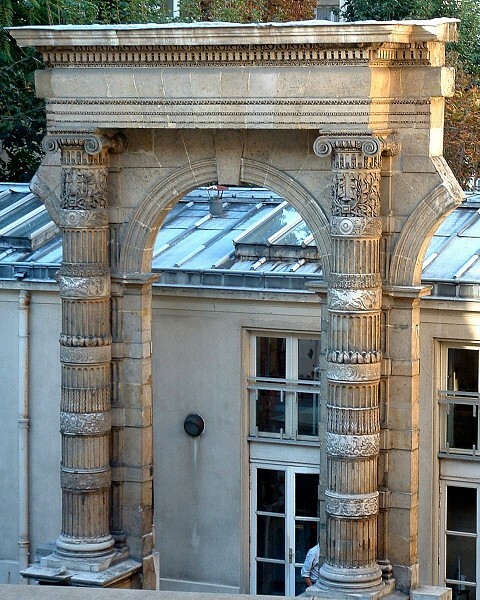 The sharp eyed can spot columns by Delorme adorning the court of the Académie des Beaux Arts on the Quai Malaquais (see picture below); there are also fragments of capitals in the Cour d'Honneur, rue Bonaparte. Louis J. Iandoli, "The Palace of the Tuileries and Its Demolition: 1871-1883"
"Comité National pour la reconstruction des Tuileries" website. 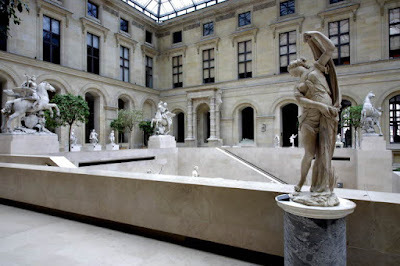 "Philibert Delorme, Arcade ionique du palais des Tuileries" Louvre website. 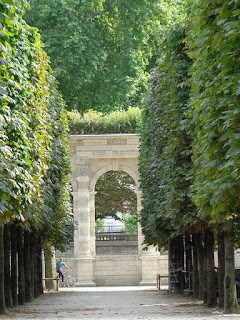 "Une arcade des Tuileries", parishistoirevivante.com, 8th June 2010.